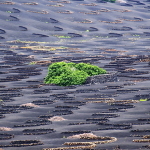 Before I visited Asturias I knew virtually zilch about this somewhat secret northern region of Spain. I say secret because an incredible ninety per cent of visitors to Asturias are Spanish which makes it virtually unknown outside of Iberia in tourism terms. What I found there was a mix of delicious ingredients that took me by complete surprise, totally enchanted me and had me yearning to return to visit the many bits I didn’t get to see. 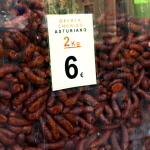 Here are five reasons why anyone interested in treating their senses to a cornucopia of outstanding travel experiences should consider a trip to Asturias. 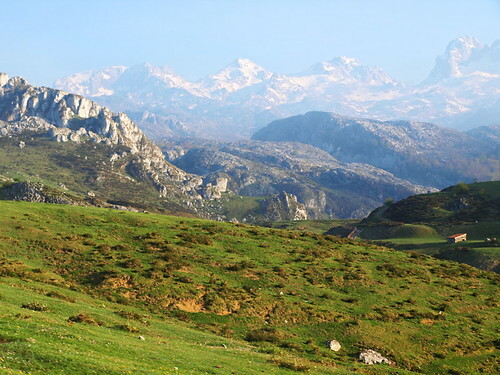 The Picos de Europa not only have contributed to giving Asturias a different culture from much of the rest of Spain – partly by creating a pretty effective natural barrier – they also provide an epic backdrop. This is a wild, ruggedly beautiful land where bears and wolves roam and vultures keep an eye out for rookie walkers (only kidding about the last bit…sort of). 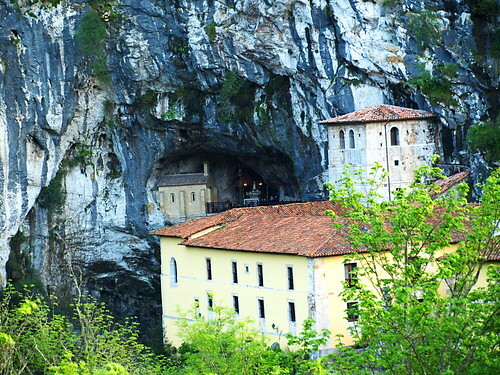 Asturians are proud of their history and with very good reason. When the rest of Spain had succumbed to Moorish invasion in the eighth century, Asturias remained defiant and unconquered (helped by the mountainous terrain separating the region from the rest of Spain). Even better, it was from here, at atmospheric Covadonga above, that the reconquest of Spain began. I didn’t know I liked blue cheese until I tried some Cabrales…in fact blue cheese was one of the few food products that I have never gotten on with. 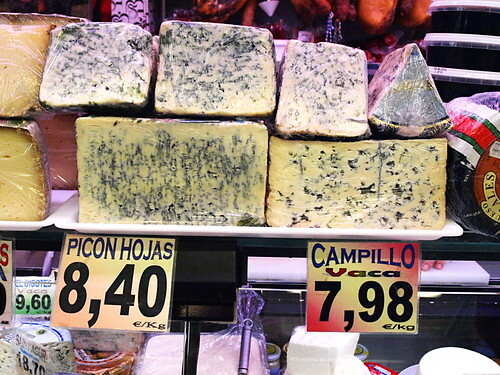 Creamy Cabrales in Asturias was so good it changed all that. 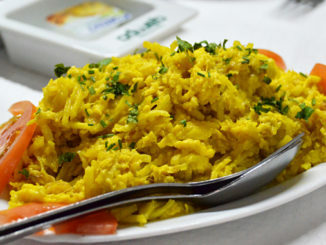 Apart from the cheeses, there’s a taste-bud teasing mix of hearty dishes from the hills and fresh fish and seafood from the coasts. As for drinking, it’s cider bars (sidrerías) in Asturias all the way. Drinking cider in Asturias is something of an art form. The medieval quarters of towns in Asturias are magical, but some of the more modern constructions are making a valiant effort to give the old buildings a run for their money in the looks department. Santiago Calatrava’s Palacio de Congresos (or ‘eyelash’ if you want to keep it simple) in Oviedo is up to the artistic architect’s usual individualistic and aesthetically pleasing standards. 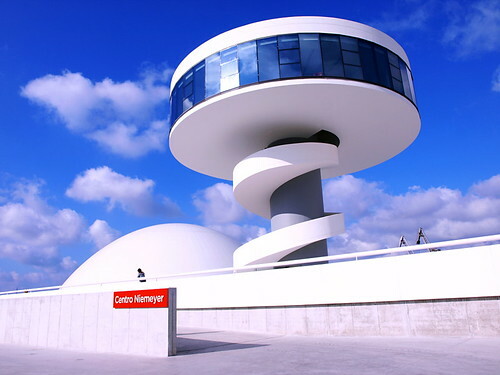 Possibly even better is the Oscar Niemeyer Centre in Avilés. With its whimsical curves, concerts and occasional interactive exhibitions it’s a fun place to visit for even those who think culture is dull and dreary. 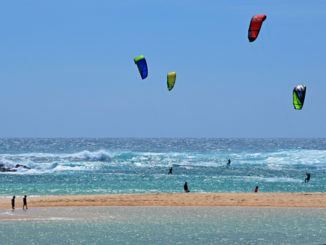 A reputation of being cooler and wetter than the rest of Spain (temperatures are actually between 25 and 28c in summer months) means that the profusion of sandy coves that would be classed as idyllic sunspots in southern Spain remain largely crowd free. 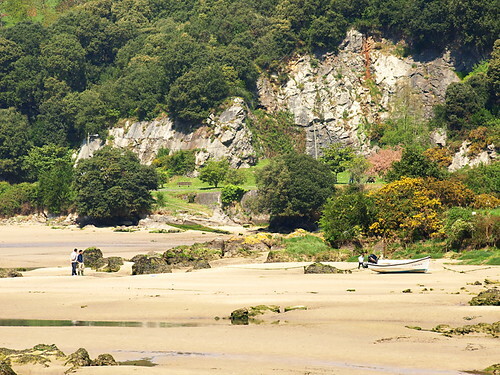 The beaches in Asturias are romantic places in the extreme to stroll and lay your blanket on the ground. 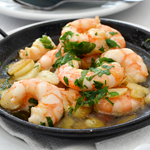 With only the sound of the gulls and the sea as a soundtrack it’s worth going to Asturias for these alone…but of course to do that would be just a crime.